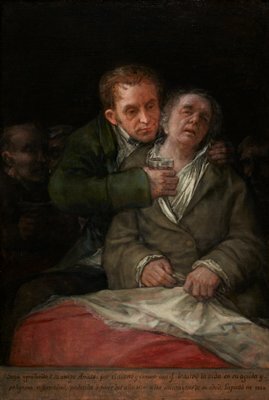 The most renowned painter of the Spanish Court, Francisco José de Goya y Lucientes (1746–1828) is regarded as the most important Spanish artist of his day. His early career was spent painting luminous portraits of Spain’s royal family and aristocracy. Later, he painted scenes of political instability, warfare, and brutality that still disturb and chill today.